Ohio Flame pits are 100% American Made (I love American Made) by a local artisan. There is a lifetime warranty on all Fire Pits and Artisan Bowls even though no maintenance is needed, "as it's designed to withstand the elements year-round. "The Patriot" features a 3/8" Rain Drain to allow for water drainagee. The "Natural Steel Finish", will develop a natural iron oxide patina and gradually darken over time." 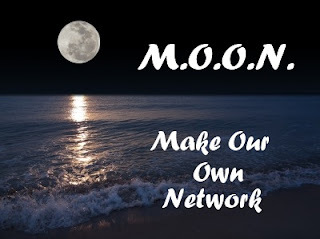 Disclosure: "Make Our Own Network" solely organized this event. I received no compensation for this publication. My opinions are 100% my own and may differ from your own. Mom To Grandma is not responsible for sponsor prize shipment. I would put it in my back yard where our homemade one is right now. I think one like this would be safer. In my backyard. It would look perfect! I'd put it on my back porch! I'll put it in my yard in Akron, Ohio!! If I win I will put this by the lake behind my house.